It was just when I was able to breed and raise my own fry did I realize the truth. I found out that some juveniles just naturally grow bigger kok. 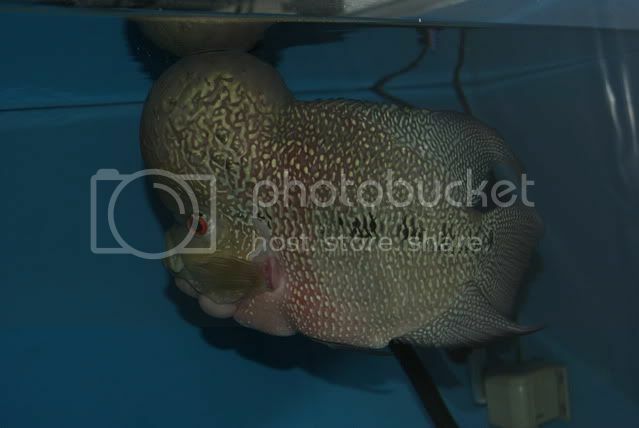 All were fed with the same inexpensive flowerhorn food, yet some just naturally developed much larger nuchal humps than others. The truth is that there is really no secret feeding formula that make koks bigger. The answer lies on the genes. Some have it. Some don't. More on flowerhorn head growth genes. Does Expensive Food Improve Flowerhorn Head Growth? Generally, price have some effect to quality. However, in the case of commercial fish food, the very expensive ones are just saturated with too much color enhancers. I strongly recommend that you stay away from those. Too much artificial enhancers may adversely affect the health of your fish. The good news is that there are a lot of commercial pellets like XO Humpy Head, ALife, Hikari, and New Life Spectrum that are reasonably-priced but still contain balanced amounts of nutrients essential in the development of nuchal humps. Choose pellets that contains not less than 35% protein for growing fishes. It should be readily available for purchase when you need to. These fishes take some time adjusting to new food and may not feed for days if you introduce new pellets abruptly. Its size should be appropriate for the size of your fish. Considering the special formulations of commercial flowerhorn pellets, there is really no need for feeding your fish with live food. They are especially tedious as feed and they easily deteriorate. The biggest advantage of live food would be that they somehow rejuvenate the appetite of these fishes. However, the risk of disease development and parasite infection easily outweigh this advantage. Cichlids are voracious eaters by nature, and they really don't need much pushing to eat when they are healthy. Find out more on how to improve flowerhorn head growth by boosting overall health. If they are not eating well, chances are, they are sick, scared, or stressed. If your fish is sick, medical treatment is the immediate and effective solution, not live feeding. Find our more on how to deal with scared flowerhorns here. Of all the live food (and unprocessed) out there, I prefer frozen bloodworms as they are widely available, inexpensive, and can be stored easily. I find live worms bothersome to keep around. These also attract ants and other insects inside the house. If your fish have not eaten for a day or two, there is nothing to worry. Many hobbyists do not feed their fishes from time to time to cleanse them and rejuvenate appetite.